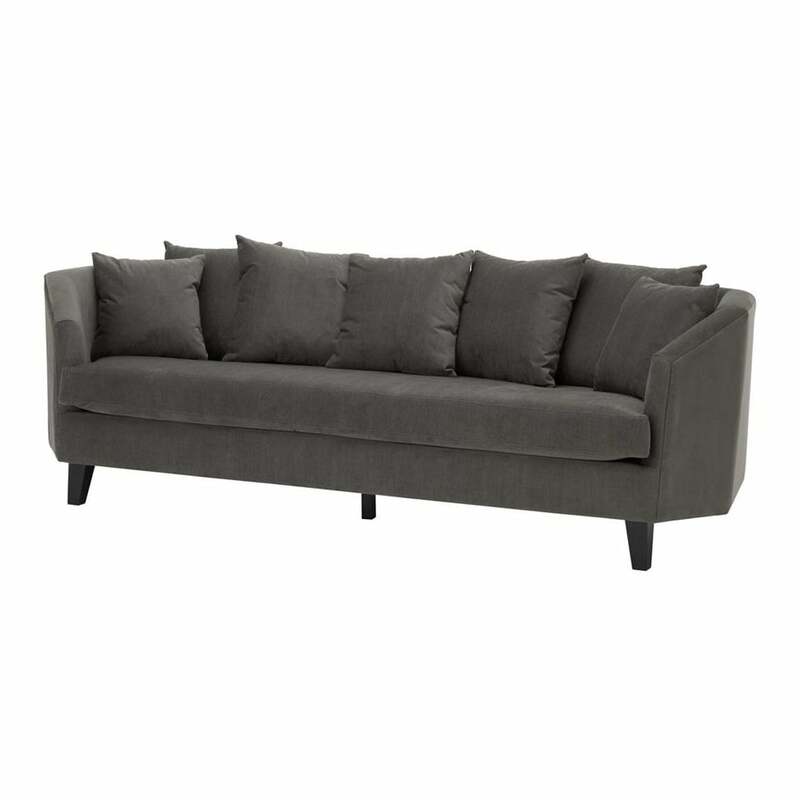 Adding a contemporary twist to a classic furniture design, the Landon Sofa by Eichholtz combines a familiar sofa style with modern, angular lines perfect for enhancing a range of interior design schemes. Available in a plush granite grey fabric with elegant black lacquered legs and generous, sumptuous cushioning the Landon Sofa offers a warm welcome to visitors and guests in the family home or at the office or business space. Style with contemporary geometric furnishings and lighting to create a comfortable home sitting room, update a traditional hotel reception area or add to an executive director’s office or private boardroom for a distinguished finishing touch. Dutch interior design house, Eichholtz pride themselves on their eclectic collection of beautiful furniture, lighting and accessories carefully selected from around the globe. Founder, Theo Eichholtz travelled the world from a young age developing a discerning eye for craftsmanship and style, and sources only the finest of the finest items to add to their luxury brand catalogue. Here at Uber, we have an extensive directory of Eichholtz luxury homewares and other, similarly high quality interior brands to choose from. Why not contact our expert interior design team for further details and inspiration to help you find the perfect curated collection for your next home, yacht, bar or hotel design project?